Apple Inc. (AAPL – Free Report)	has slashed prices of most of its flagship devices, including iPhones, iPads, Macs and AirPods by about 6% on its official Chinese online store. The price cut is in response to a fall in value-added tax (VAT) in China that took effect on Apr 1. VAT for manufacturers like Apple was brought down from 16% to 13%, per Caixin. Apple also announced refund eligibility for the price difference for anyone who has purchased one of the products over the two weeks preceding the sale. For instance, the price for entry-level iPhone XR, which originally cost 6499RMB, was slashed 4.6% to 6199RMB. Further, there was a 500RMB price cut each for iPhone XS and iPhone XS Max. 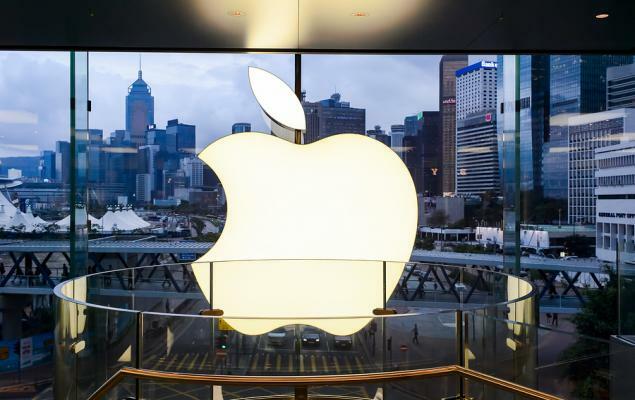 Will Lower VAT Boost Apple’s Sales in China? Per a Reuters article on Feb 11, 2019, which cited an IDC report, Apple’s iPhone sales in China fell 20% year over year in the fourth quarter of calendar 2018. Moreover, the steep pricing of new iPhones is resulting in Apple losing considerable share to Xiaomi, which offers devices of similar features at a significantly lower price. Also, Huawei is gaining traction in the Chinese market, following Samsung as the world’s largest smartphone maker. The price slash due to lower VAT is expected to benefit Apple as this will make its products more affordable in China. Apple currently carries a Zacks Rank #3 (Hold). A few better-ranked stocks in the broader Computer and Technology sector are Fortinet, Inc. (FTNT – Free Report)	, Verint Systems Inc. (VRNT – Free Report)	and Cadence Design Systems, Inc. (CDNS – Free Report)	, each sporting a Zacks Rank #1 (Strong Buy). You can see the complete list of today’s Zacks #1 Rank stocks here. Long-term earnings growth for Fortinet, Verint and Cadence is projected to be 16.75%, 11% and 12%, respectively. Apple ditches five mineral suppliers over failure to pass human rights audits The iPhone maker says its “deeply committed” to upholding human rights.